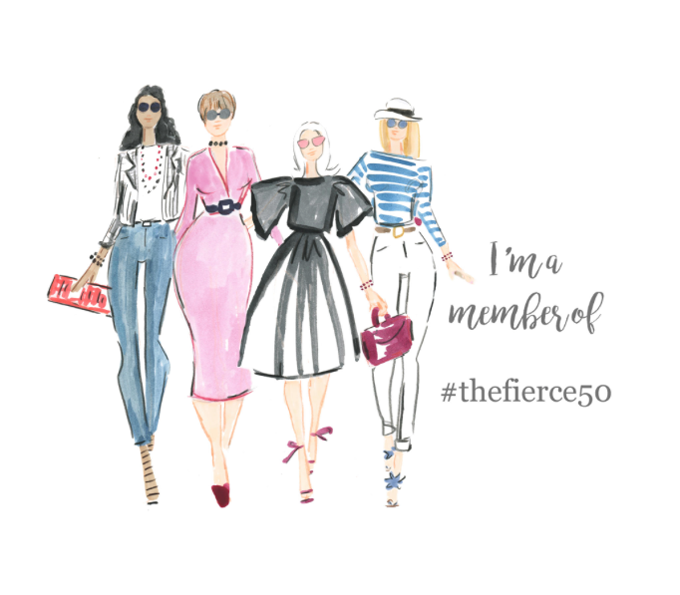 I know my feature is usually on Fridays, but I wanted to share this in time for you to be a part of this event. 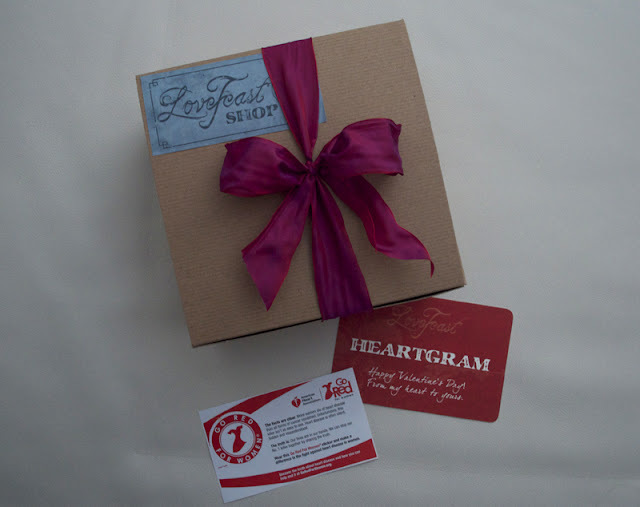 The girls at LoveFeast Shop have a very special valentines this year. For any Velvet Plush Heart or HeartGramTM purchased on February 1st, LoveFeast Shop will donate 15% of proceeds to the American Heart Association in honor of Go Red For Women. And to make it even sweeter for you, you have a chance to win a set for yourself. One of my sisters passed away 7 years ago of heart failure, so this is near and dear to my heart. She was 46. I miss her every day. More women die of heart disease than any other form of cancer combined. Unfortunately, this killer isn't as easy to see. Heart disease is often hidden and misunderstood. 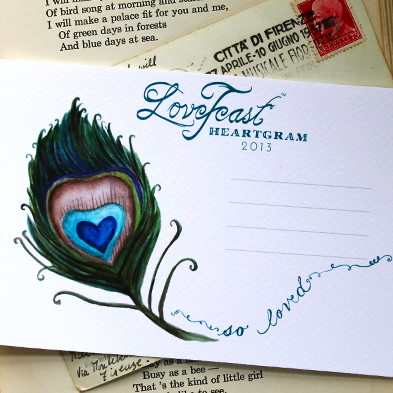 The LoveFeast™ HeartGram™ is the perfect gift for any Valentine. 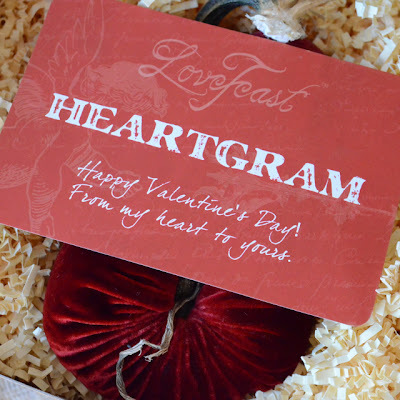 Each HeartGram™ comes packaged in a kraft paper gift box, with crinkle paper and a vintage inspired postcard. The box is tied with a gorgeous satin ribbon. The postcard can be delivered blank for you to fill out for your Valentine, or you can leave a note for us upon ordering with your message and we will hand write the note for you. 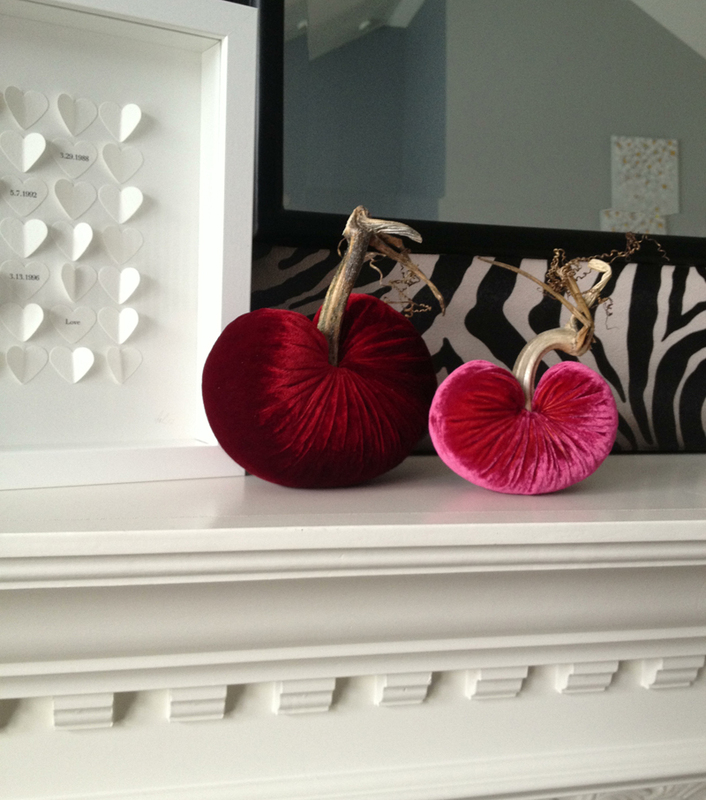 Each HeartGram™ Set or Single comes in the colors of Cherry, Coral, Turquoise, Lagoon or Snow. 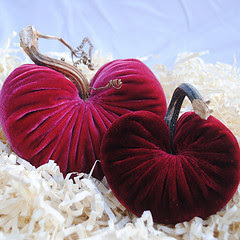 Each set contains an approximately 5" and 4" handcrafted Velvet Plush Heart with an artistic, organic stem. HeartGram™ Singles include a 5" Velvet Plush Heart. The collectible limited edition 2013 HeartGram™ Set comes with a custom designed postcard by artist Annie Barnett of Be Small Studio in Turquoise and Lagoon velvet. To learn more about woman's heart health go to GoRedforWomen.org and please consider buying a heartgram for yourself tomorrow, February 1, or even purchase a set as a gift! Thank you Love Feast Shop. If trying to win a set is more your style, then enter to win a pair in the color of your choice. I love mine and the BF even thought they were darling. Don't they look sweet next to my heart box? Please follow the instructions in the rafflecopter form below to enter, and good luck! 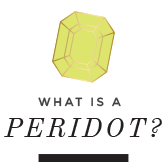 That is a pretty color! OMG, they are all adorable!! What a precious idea!! I would have to choose the cherry red ones! Cherry is popular! Good luck my dear! Lisa this is wonderful! I would love the turquoise duo for my Bedroom. I would also take them to the hospital Monday for surgery ( if they arrived in time)and then to the rehab, Manor Care. They would so brighten my days. Ohhh the turquoise is pretty and it isn't as seasonal! Hope all is well with you and your recovery is speedy! Love LoveFeast Table! 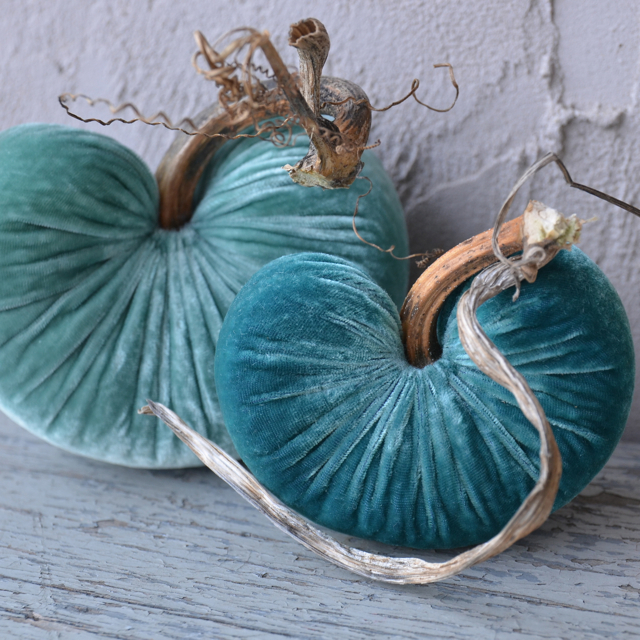 I ordered the pumpkins in the fall & I still have them out. I can't bear to put them away for the whole year....I think I need these HeartGrams for spring! 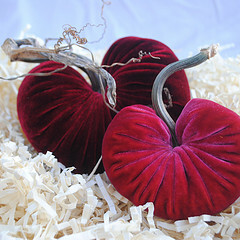 Ohhh the pumpkins are soo wonderful! Thanks for stopping by and good luck!